Valentine’s Day is next week. You may have noticed, we LOVE to celebrate any holidays. So, naturally, we love Valentine’s Day. What I love most? Are the TREATS. 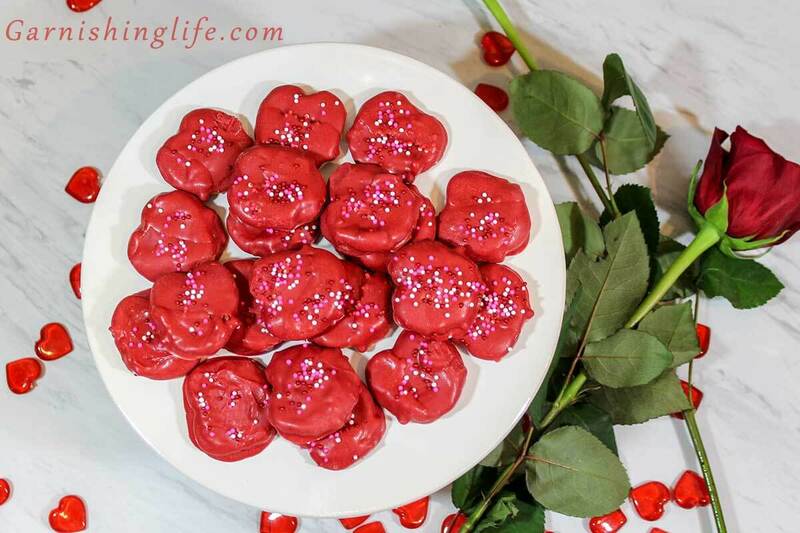 Cute little sugar cookies and boxes of chocolates and Cupid’s Floats. 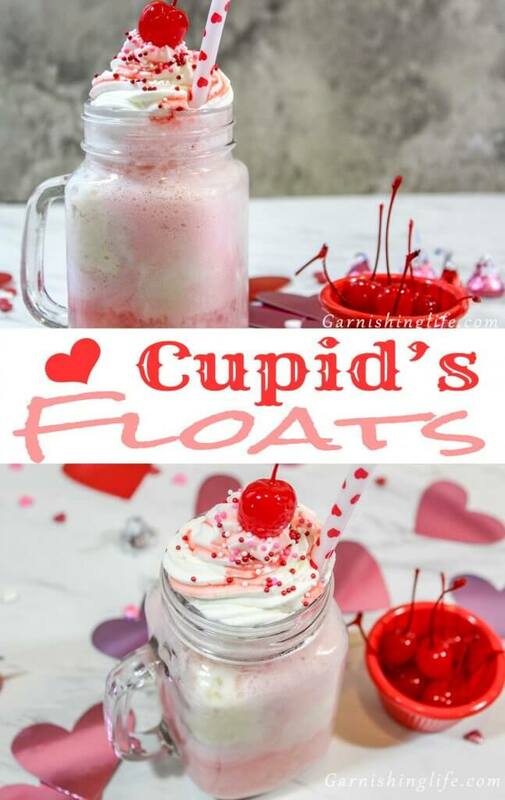 My sweet tooth is very happy with Cupid’s Floats. 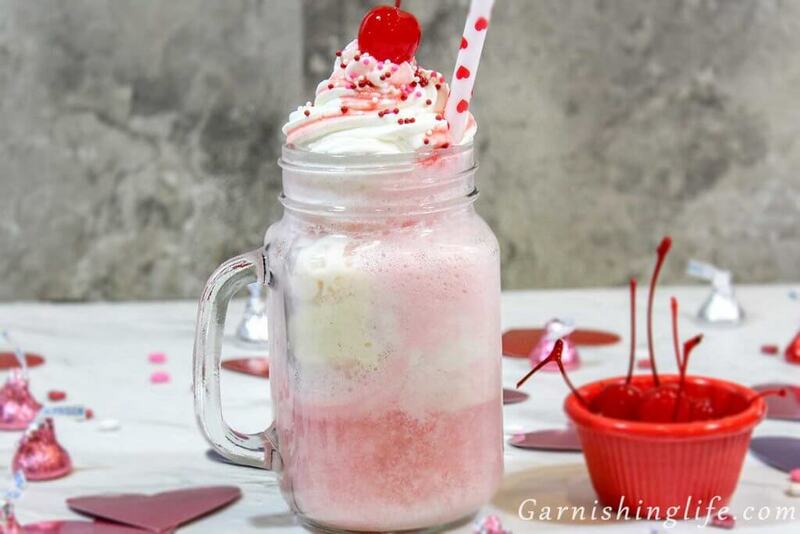 It’s a pink variation of a favorite of mine, Root Beer Floats. It’s the simplest recipe you’ll probably find on our site, but we have a few little tricks that make it just that much better. To start, I think floats need to be drank from a cold glass. Don’t be afraid to pre-chill a glass before you begin. For minimal fizziness, pour the Cherry 7UP into a glass at an angle. The soda first is also a means for less foam. Top very gently with two scoops of french vanilla ice cream. Total transparency: I made the mistake of pouring the soda over the ice cream before realizing the amounts of foam this creates! Stick with the tips for the best result. Now, you freeze for 10 minutes. When the time is up, add a giant dollop of Homemade Whipped Cream. 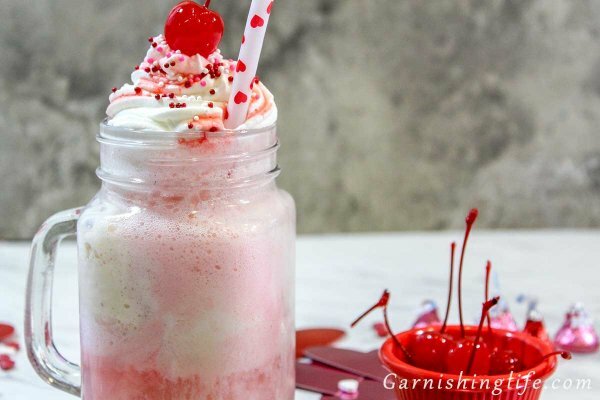 For a little extra cherry, pour the tsp of maraschino juice over the whipped cream and Garnish with cherries and sprinkles. Lots of cherries and sprinkles. Slowly pour the Cherry 7UP into the desired glass. Scoop the ice cream into the soda. Top with a Dollop of Homemade Whipped Cream. 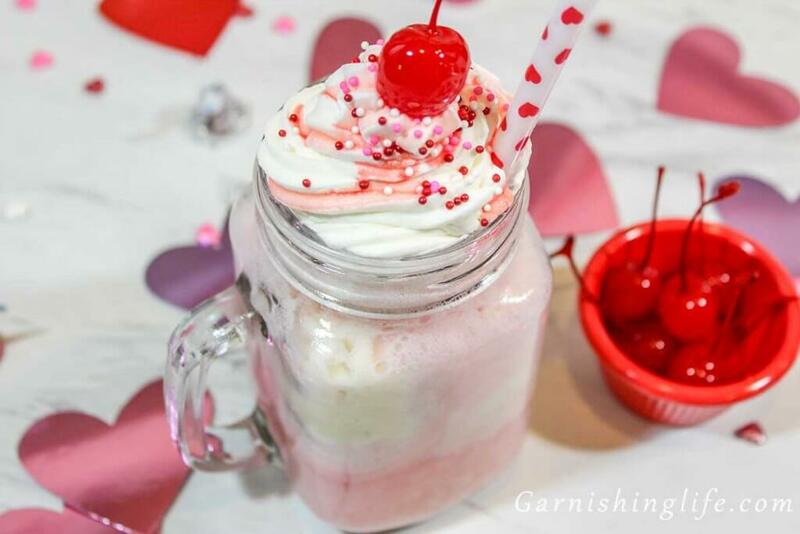 Pour the tsp of maraschino juice over the whipped cream. 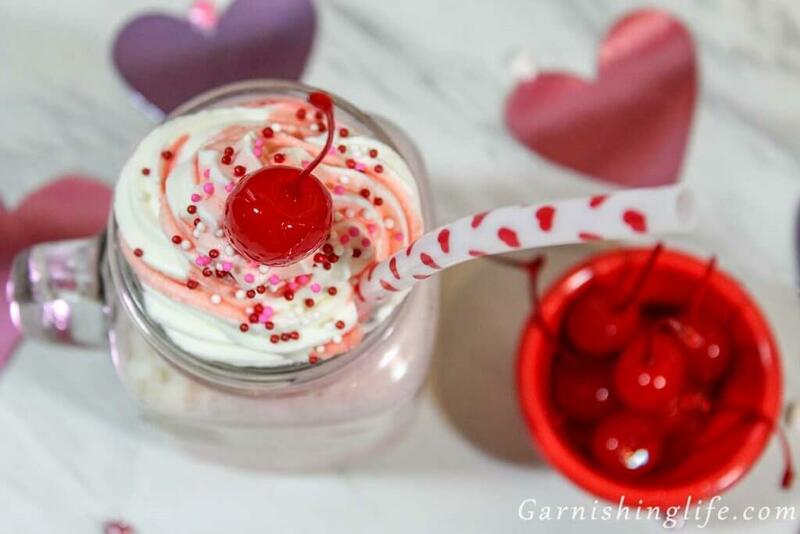 Garnish with sprinkles and maraschino cherries, as desired. For any float, pour the soda before scooping the ice cream into your glass to reduce the amount of foam. For a little extra frost, freeze a glass wrapped in a wet paper towel for 15 minutes.